MESC has been working with National Backward Classes Finance & Development Corporation (NBCFDC) with an objective to promote economic and developmental activities for the benefit of Backward Classes and to assist the poorer section of these classes in skill development and self-employment ventures. The candidates are also eligible to receive loans through various bank for their business ventures by NBCFDC through some criteria. 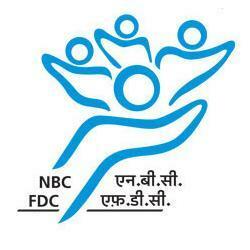 Members of Backward Classes living below double the poverty line are eligible to obtain financial assistance by NBCFDC. Eligible persons desirous of obtaining financial assistance under NBCFDC schemes should contact the Distt. Collector or Distt.Manager/Officer of respective SCAs. MESC is collaborating with NBCFDC to provide concessional financial assistance to the eligible members of the Backward Classes for Self-employment ventures and Skill Development Training for job roles such as Makeup Artist, Hairdresser & Rotoartist. Till now the organization has trained and improved the life of more than 900 candidates from states like Uttar Pradesh, Madhya Pradesh, Karnataka and many more. More than 500 candidates have also been placed in top Media companies of the country.